Earlier this month, I made my way out east to the Philly Pen Show. Over the last year, I spent most of my pen shows behind the table, and I could not have loved those experiences more. I wasn't planning on starting my pen show rounds this early in the year, but when I happened across a cheap weekend ticket to Philly and saw the list of courses on the weekend docket - I decided to make a break for it and go as an attendee. Live Update: It was an excellent decision. It’s been a while since I've spent an entire weekend on the buyer side of the table, and I've learned a few things about pen shows since my last go round, so I thought I would use Philly as a backdrop to share my general thoughts and personal take on maximizing a pen show experience. Keep in mind, I'm no expert. There are undoubtedly many more qualified individuals to give years of pen show history and advice. I've been attending shows for barely over two years, which is just long enough to still know what it feels like to walk in awkward circles around a pen show having no idea what to do, but also long enough to have learned a couple of things along the way. First, let me be clear: If you get a chance to go to any pen show for a single day, especially if you've never been to a pen show, by all means, go. The first pen show I ever attended was the Ohio Pen Show, which is only a couple of hours from where I live. I drove to the show and back on the same day, and it was an excellent and eye-opening, if slightly overwhelming experience. With that in mind, I can not overstate the following: My perception of shows completely changed the first time I spent the entire weekend at the Chicago Pen Show. A pen show from start to finish is an experience entirely unlike any other I've ever experienced. This perspective holds true even in light of the inordinate amount of time I have spent at all types of industry, professional, and academic conferences. It's difficult to describe, but I attempted to explain it fresh off that first weekend in 2017: here. Here's one specific reason that staying an entire weekend at a show is so helpful, especially if you are new to shows. It may seem crazy at first that you could spend a whole weekend walking around one or two "small rooms" full of pens. But trust me here, once you start walking around- that's a heck of a lot of pens. And not just pens by the way. If you're really going to take it all in- you're going to need some time. For the sake of everyone's benefit, I'll use myself as an example here. Remember that first Ohio Pen Show? I took my first calligraphy class at that show, bought my first Franklin Christoph pen, and even bought my first vintage pen. Successful first day if you took the word of my Instagram! Here's what Instagram didn't show: My primary purpose of going to the show was to get a pen worked on/ modified for the first time. Even though I followed all the advice online and got to the show super early to get on some mysterious list to get a pen tuned/ modified- I couldn't find any list, didn't want to ask anyone about it and eventually chickened out of getting any pen worked on. At the Franklin Christoph table, it was mass chaos, and everyone was buying things, so that seemed like the right thing to do! I knew I wanted to get a pen from FC going in, but I had no idea that there was a difference between a show prototype pen and a regular model. So when someone asked me if I needed help, I literally just pointed to a pen and said- I'll take that one. A transparent blue model 20. Little did I know I also had to choose a nib... you can imagine how that went. After the calligraphy class, I didn't have much time left, and I knew I wanted to try to buy a vintage pen. Long story short, I had no idea what I was doing and majorly rushed the purchase of a Montblanc that 1) I knew nothing about and 2) I had no idea how to use. Not exactly ideal, but I still have both of those pens and fond memories of that show. If you learn one thing from my fumbling first show- here it is: don't rush it. Once you spend an entire weekend at a show, you'll start to see a sort of "flow" that each show has. There are busier times, and slower times (for most shows that is). Use this flow to your advantage, and use the quieter times to get a closer look at the tables that may have been crowded at other times. This will take the pressure off you and the vendor, and make them much more able to engage with you if you have questions. I have yet to find a vendor that is not willing to talk with me and answer all my questions if I ask those questions at the appropriate time when I'm not taking away from their other sales. 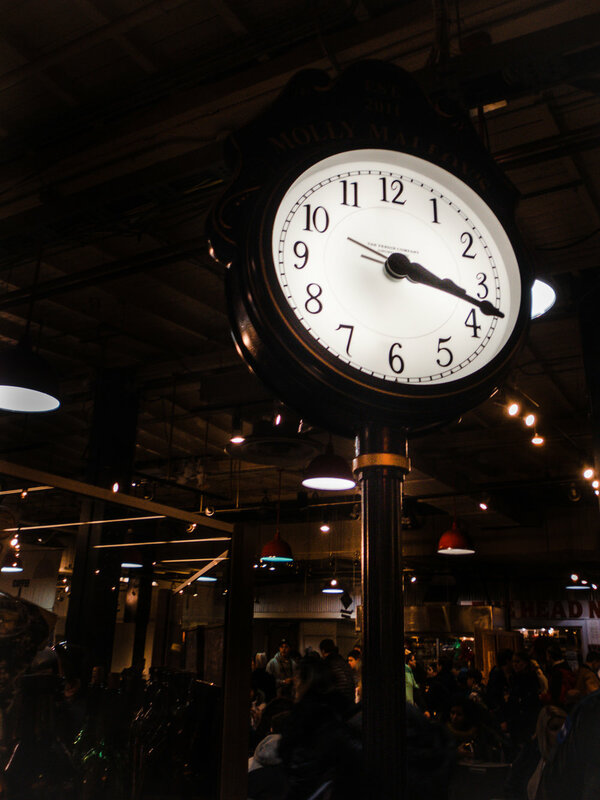 In general, pen people love to tell stories and help other people learn about the hobby, but also remember that these shows are a primary source of income for many vendors, and occur over a very short timeframe- time is money. If you're at a table and feel time pressured- move on and come back later- everyone will benefit. There are a few exceptions to this- for example, that Franklin Christoph prototype probably won't be there next time you come back to the table. But there will always, always be other pens. The purchases that mean the most to me from shows are the ones that I spent the most time with- the ones with the long stories or significant background research or learning required. There is no better place than a pen show to try things. And by things, I mean ALL the things. And if my advice before seemed to suggest holding back: my opinion here is quite the opposite: jump in head first. If someone offers for you to try their Nakaya- say thank you very much, YES. If you have a question about how to open it or use it as you go, ask them- but if they are offering for you to try it, take them up on it. This is one of the golden opportunities of pen shows. There is usually an ink table at shows with tens to hundreds of different inks to try. Early in the morning before things get going or other slow times at the show are perfect times to sit down and try as many of these as your heart desires. Or, try a few every time you pass the table throughout the weekend. Some vendors have pens inked to try. For example, the Nibsmith typically has a full set of Lamy 2000 nibs inked, as well as Sailor nibs including the King of Pens, as well as a few other various Auroras and Pelikans. If I'm at the show, half my pens are out as his table including a full set of TWSBI nibs. (Pro tip: I usually have my pen case with me in an undisclosed location- just ask, and I'll let you try anything you want.) Jesi of The Vintage Pen Shop has a testing station where you can try almost every single one of the old vintage Esterbrook nibs. Depending on the show, Nakayas, Conids, or Taccias may be available to try at other tables. Don't be afraid to try things. Ask questions, and treat the items as you would any other item you don't personally own, but also don't be afraid. You can learn more in 72 hours of trying things at a pen show than you might all year buying random things on the internet. One thing to note: don't expect that all vendors will have all pens inked. And definitely, don't just pick up a pen an assume it's inked. If they inked every pen they had in stock, then they would be selling you a pen that was pre-inked. Not everyone is going to want that. If you are ready to buy the pen, most vendors are willing to ink the pen so you can try it at that point. If you're unsure when you approach a table, just ask if the vendor has any pens that are inked- they will let you know their policy. One of the things that you can do almost exclusively at pen shows is sit in front of someone who literally sets up a nib for your specific writing style and preference. Many nibs write just fine straight out of the box, but there is definitely something to be said about the sitting in front of someone in real-time and giving feedback about how a nib feels. I’ve watched many people buy a pen from Nibsmith and immediately sit with him to have it adjusted- which is part of what makes the experience of buying at pen show well worth it. If it's your first time, that experience in and of itself can be intimidating- but just know the person working on the nib wants you to walk away happy with the pen, tell them it's your first time, and be honest about how the nib feels to you. Or, take a friend with you that has been through the process before. In Philly, Ralph set this beast up for me. As I sat with him, it reminded me how much my approach to purchasing at pen shows has changed. I can not express enough how truly invaluable it is to find vendors and creators that you know and trust and believe in. And one of the best ways to build these types of relationships is purchasing directly at shows. It’s not really about “trying to get the best deal.” To me the best deal is getting to spend my hard earned dollars supporting these people I have grown to know and trust in this creative, hard-working, and truly amazing community. Before you head to a show, make sure you keep up with the show site and social media to check what courses will be offered over the weekend. Sometimes tickets are required in advance, and sometimes the courses require a fee. Every single class I have been to has been MORE than worth the price of admission. I hope shows continue to expand these offerings. In Philly, Gourmet Pens and Ralph from Regalia Writing Labs both taught their first workshops. Both were truly outstanding. I don't want to give away too much about the classes themselves, but I will say this: if I only had room in my budget for the show exclusive ink or for the classes, I would have chosen the classes every single time. And if you know even a little bit about how much I like ink- that is saying ALOT. 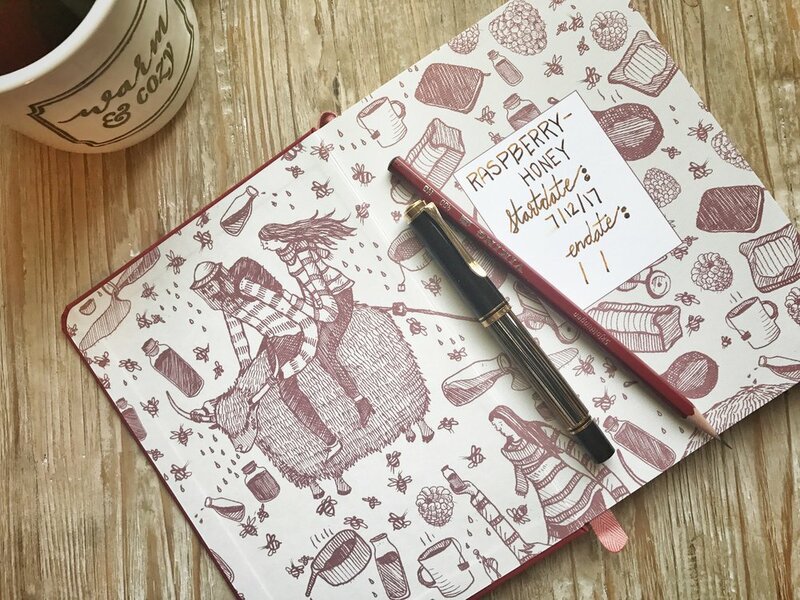 Also of note here, is that the free classes, like the one I attended led by Lisa Vanness of Vanness Pens in Philly are typically also well worth the time, and a great opportunity to not only learn but connect more individually with more pen people. Toronto Pen Company pinch hitting at the Gourmet Pens class! Final budget item, the unexpected. There will almost definitely be at least one thing at the show you weren't expecting to find- the only question is what percentage of your budget it takes up. In Philly, Al’s Emporium brought some crazy vintage ink. Guess who got multiple bottles of that through TSA? The word "mixer" does not spark joy for most introverts I know, and let's get real here- there's a lot of introverts among us. I wouldn't describe myself as an introvert, but I also really don't like small talk- so mixers aren't my favorite activity. But listen, at a pen show- do NOT miss the mixers. They can vary a little from show to show. Some are a bit more structured than others. There is usually something a little more structured on at least one evening of the show. That's a great starting point- and I hope we continue to see more of this at future shows. Some areas of the country definitely have more pen meet-ups and a more connected community throughout the year and come to the show in force together. It's really cool to see, and I promise they welcome you in- but it can be intimidating if you come from a part of the country where there is no strong pen meet-up presence and you travel to pen shows alone. At the Toronto Pen Show this year, the local pen group hosted everyone for an event outside the show, and I thought it was a great way to invite everyone into the "hanging out." No matter the structure, I can't say this loud enough: Even if you come alone, and no one officially invites you- find the pen people after the show and take a seat. There is usually some kind of unstructured pen extravaganza in the bar area of the hotel at some point in the evening every evening of the show. If you're new to the show, and you didn't come with other pen people- it can be a little hard to figure out what time this might be. In general, I've found the show ends, people take a small break, go out to dinner, and then come back to the bar. So whatever time that is. Helpful right? It can feel awkward coming back and forth from your room to the hotel bar trying to figure it out (I've done it), and a little uncomfortable even once you do find the right time and place and people. But stick it out, I promise it's worth it. Pen shows aren't pen shows without the people. These last two are bonus tips, and not always feasible depending on the location of the show, and especially if you're on the vendor side of the table. However, if you're traveling from out of town and you want a break from the show, a little bit of homework can have big payoffs. When I was in Denver, I attended a concert at Red Rocks Amphitheater. I've been to a bunch of fantastic restaurants over the last year. Another pro tip: I almost always know where the nearest high rated ramen restaurant and craft Hefeweizen is to the show if you ask. If you're really fortunate, there might even be some local stationery within a doable distance from the show location. In Philly, I got the chance to check out two stores- Omoi Zakka & Rikumo. Both were amazing. As soon as I walked into Omoi Zakka, I spotted Paper Tasting and knew I was in friendly territory. Rikumo was an experience all to its own- a beautiful store full of Japanese goods, and some new to me stationery brands...stay tuned for more on that. See you on at the next show! It’s January. January means many things- the beginning of a new year, the end of a holiday season, a time to reflect on the past, and a time to consider aspirations and ideas for the upcoming 12 months. So far, this week has been a mix of all of those things, but it has also signified another particular event for me this year. The end of advent calendars. I’ve always enjoyed advent calendars, but admittedly probably went a little overboard this time around. All of this “adventing” had me thinking a lot about the concept of advent, but it also got me thinking a lot about my approach to life over the last year. The word advent has a history in traditions of faith, and comes from the Latin word “coming.” Advent season is traditionally the four weeks before Christmas, and serves as a time of expectancy, watching, and preparing for the arrival of Christmas. The advent calendar finds its origins in the newsprint industry, where a German newspaper included an advent calendar counting down the days to Christmas with cardboard photos hidden behind little paper doors as a gift to its readers. I noticed a few things about myself during the month-long advent extravaganza. I tried alot of new things. I didn’t get through every ink, sticker, pencil, and tea- but I certainly tried more new things in December than I had tried all year. Trying something new every day became a sort of daily habit, and there was something refreshing about that habit. I joked one day that should take all the stationery in my collection and make myself a year-long advent calendar. It was a joke at the time, but I couldn’t stop thinking about the idea. That specific set up would be a little too restricting and time-consuming- but the mindset is something I haven’t stopped thinking about since. The last year has been an interesting one for me in a lot of ways. Many things from 2018 will surely bleed over into these 2019 Year of Advent posts, but here’s just enough background to give you context. The scariest thing I did all year: I went way in over my head professionally licensed a pharmacy from the ground up and launched a brand new investigational drug service at my hospital. Why yes, that is a coloring wall in my pharmacy. The most frustrating part of my year: That major professional project put me way behind on (everything, but especially) another significant goal still stuck to my back like the heaviest of backpacks- my dissertation for my PhD. This year IS the finishing year. Overall, 2019 was an extreme version of a default pattern I’ve learned about myself. I do a lot of “doing.” I don’t think that’s an uncommon default in today's culture-not by a long shot. Doing isn’t a bad thing in and of itself. But sometimes the overwhelm of busyness keeps me from trying new things and from meaningful progress. And even more ironic, sometimes the more I do, the less growth I feel even within the progress I do make. 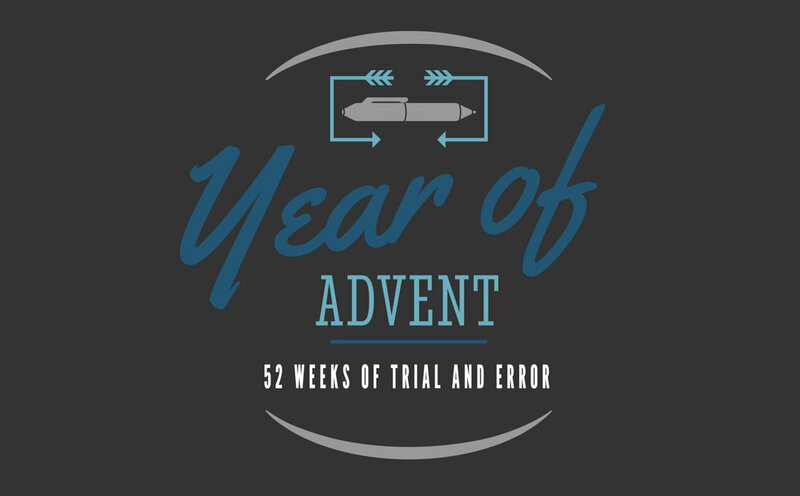 In all my thinking about advent and trying new things, I started researching the process of trial and error and experiential learning in general, and the cycle itself was even more revealing. I realized I spend a majority of my entire life on the left side of this cycle. Do it. Now what? Do it. Now what? This applies to many areas of my life; my work habits, my information consumption habits, my social media habits, and even my purchasing habits. It strikes me how little time I have spent reflecting on what I do and attributing meaning to my actions. I think those missing pieces are one of the primary drivers of the dichotomy between doing so much and feeling so little progress. So here’s to an entire year of advent. The kind of advent that goes deeper than just doing, and is more than simply trying new things. The kind of advent that takes time to notice what’s working, and is brave enough to face the things that are not. The kind of advent that celebrates progress no matter how small, and strategically selects next steps based on that progress. Re-launching the blog seemed like the perfect place to document the year ahead and dialogue with others about these ideas for two specific reasons. 1) This year of advent will undoubtedly include trying new stationery. However, I also hope this year I can also explore things on a different level, sharing ways I attempt to utilize stationery on a day-to-day basis, and sometimes fail. In particular, I want to think more deeply about when and why I use analog tools versus when and why I use technology and trial and error new ways of doing things across both domains. You have a very distinct illustration and writing style. What have been your primary sources of inspiration over the years, and how has your style evolved over time? My style is a whimsical mix of Shel Silverstein characters and Van Gogh’s color sense. I’ve been drawn to clear styles throughout the years and actively sought to create my own. What I’ve found is that it’s a continual process, one that is ongoing for as long as I create. 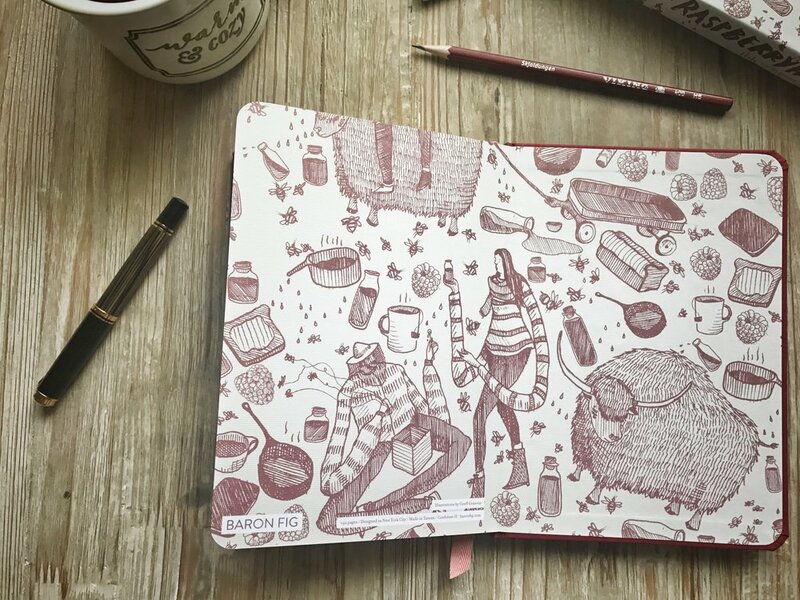 Tell us about your process for writing the short story and creating the illustrations for the Raspberry Honey notebook. What was your starting point? Which came first the illustrations or the story? Baron Fig approached me to do a collaboration after we worked together on a different small project (A canvas piece/book board project where we went around the city asking the question: what would you do if you could not fail?). They wanted me to illustrate something for the packaging and the inside cover but I pitched back the idea of using a short story I had recently written to be the basis for the edition. The story had natural imagery that leant itself towards my cheeky illustration style and I thought it would be something that a company like Baron Fig would never have considered. They liked the idea and we began rolling. Where do you come up with your names for your short stories? Are Yuri McLevell, Briarton, and Steffonn Yungbum modeled after real people and places? 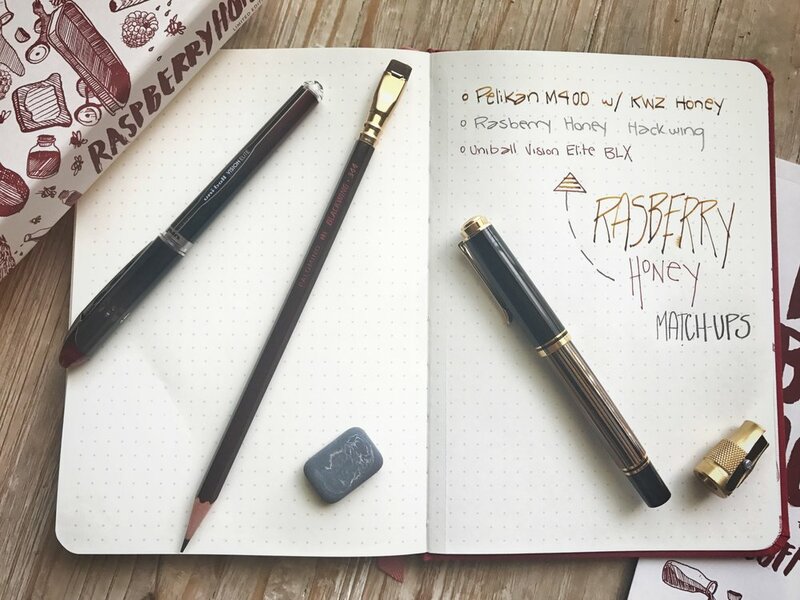 Have you ever tried raspberry-flavored honey? The names in a story like this make me laugh. I can’t point to a particular reason why but the stranger the name the more I’ll like it. We all have people in our life that quench our dreams – those are our Steffon Yungbums. As for the trying of raspberry honey, I honestly thought I was writing about something fictional. I was pretty bummed it was an actual thing (I’ve written about 4 unpublished short stories with weird fruit combinations at the core.). Talk to us about how digital and analog tools intersect in your work. How much of your writing and illustration processes are done on paper vs. on a computer? Everything starts in my sketchbook. I’ve been exclusively using Baron Fig’s blank sketchbooks for about 2 years now. Close to zero percent of my writing is analog now, though I did get my start using notebooks as a journal. That flipped in 2010 when I realized I enjoyed typing more than writing and began to use the new space for images. All of my illustrations begin in the real world and then I touch them up in Photoshop. I’ve been illustrating more and more work with a digital tablet but nothing beats the mistakes a real sketchbook gives you. I say mistakes because the best aspects of an illustration are the imperfections. A machine is built to edit that out so working digitally takes me longer because I have to put the imperfections in myself. What are some of your favorite analog tools? I use ballpoint pen to sketch. I used to use pencil but I started erasing too much. It’s better to use something permanent as a record of what you’ve done before- like drafts on a short story. It’s great to look back through the thousands of sketchbook pages over the years and see how those mistakes and old ways of doing things shift over time. You can find Geoff at his website, on Instagram, and on Twitter. Now that I've been made aware of his work, I look forward to following along and supporting! Thanks again to him for taking the time to dig into a little of the backstory with me! As for the review portion of this inter-review, there's really nothing I can think of that I don't like about this release. I absolutely love the style of Geoff's illustrations and that the short story added an experiential component to the theme. There's something about a notebook that already has art within it that makes me want to write in it, and I started mine almost as soon as I received it. 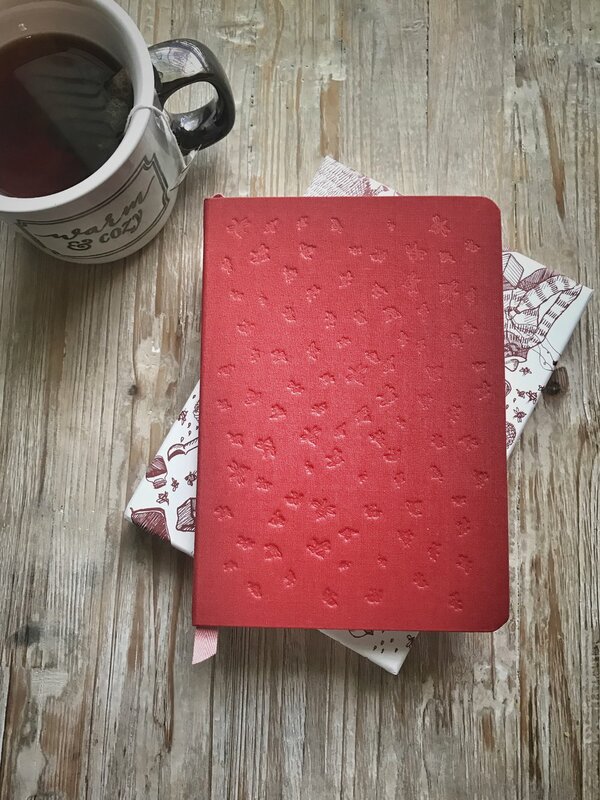 This edition is the perfect companion for curling up with hot tea and a book, so I decided to finally start the reading/ reflecting journal I've been meaning to begin. In the past, I have heard others describe the Baron Fig paper as less than fountain pen friendly, but I find the opposite to be true. Sometimes I enjoy writing on smoother paper like Rhodia with ink, but there's something to be said for writing with pen and ink on a paper with a little more tooth. The M400 pictured below has a sweet architect grind by Dan Smith, and it's a fairly wet writer. Still, there no feathering or bleed through and very little show through on this paper. The shading of the ink is also particularly evident. 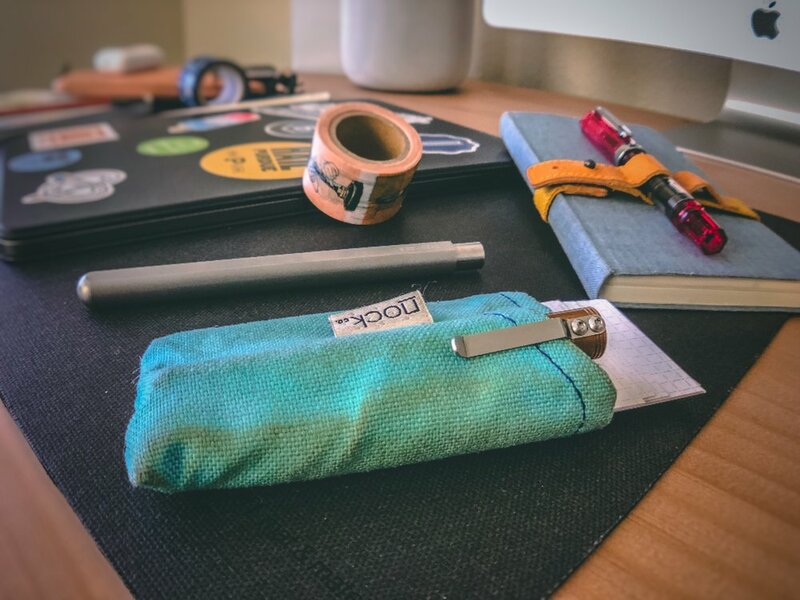 You can see how this edition holds up to a variety of different writing instruments over at From the Pen Cup. It's hard to find a paper where I truly enjoy using both graphite and ink, but this one of those papers for me. You can learn more about the edition and get a copy here. Thanks to Baron Fig for providing me this notebook for review.